NNEDV’s Economic Justice Project works to strengthen victim advocates’ financial capabilities to better assist survivors of domestic violence move from short-term safety to long-term security, and to an economically sustainable independent life. Personal safety and economic security are inextricably linked for victims of domestic violence. When survivors of domestic violence have stable access to resources that help them build economic resiliency, they and their families are much more likely to remain safe and secure. that contribute to domestic violence and reduce victims’ ability to flee. Learn more about the impact of the economy on domestic violence from this factsheet. Remember to include financial considerations in your safety plan! Keep these topics in mind around financial safety planning. Six tips for domestic violence victims and survivors that are seeking to secure their financial future. 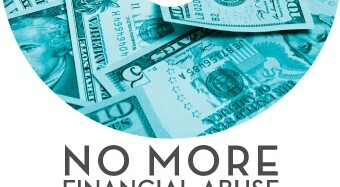 Learn more about financial abuse.